If your teeth could use a makeover, consider porcelain veneers. 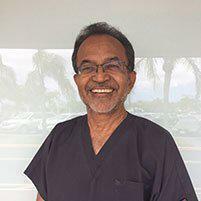 Expert cosmetic and family dentist Dr. Durgesh Thaker offers this cosmetic dental procedure to men and women at his two Tamarac, Florida, offices. For a sparkling smile that improves the shape, size, and/or color of your teeth, call or book a consultation online today. Veneers are thin porcelain overlays that Dr. Thaker permanently affixes to the front of your existing teeth. They create a whiter, more uniform smile with a strength and resilience that’s comparable to your natural teeth. Veneers are customized to complement your mouth and skin tone. Veneers offer a permanent solution for a variety of smile imperfections, and one that you won’t regret if you want a straight, white smile. What imperfections can veneers improve? If you and Dr. Thaker determine that veneers are right for you, you’ll schedule two separate appointments for veneer placement. At the first appointment, Dr. Thaker determines the correct shade for your veneers and gently files down a very small amount of your existing tooth enamel. He removes usually less than a millimeter of your existing enamel to allow the veneers to look and feel natural once placed. He then takes an impression of your teeth and sends it to a laboratory to produce your custom veneers. In the meantime, he’ll fit you with a temporary veneer. At the second appointment, he’ll seal your permanent, custom veneers into place. He checks their fit and ensures you have the smile you desire. You care for your veneers the same way you care for your natural teeth. Optimal oral hygiene includes twice-daily brushing, daily flossing, and regular professional cleanings. Dr. Thaker may also recommend a special toothpaste that’s less abrasive. Veneers don’t last forever, even with good care, but you can preserve them for as long as possible with good oral hygiene habits. If you’re unsatisfied with your smile due to the shape, color, or condition of your teeth, consider porcelain veneers for a dramatic fix. Call or book an appointment to learn more today.